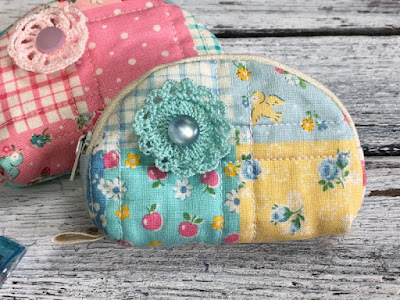 I've been working on a few new patterns, and with the help of some very good pattern testers, they are ready to be posted in my Etsy Shop. 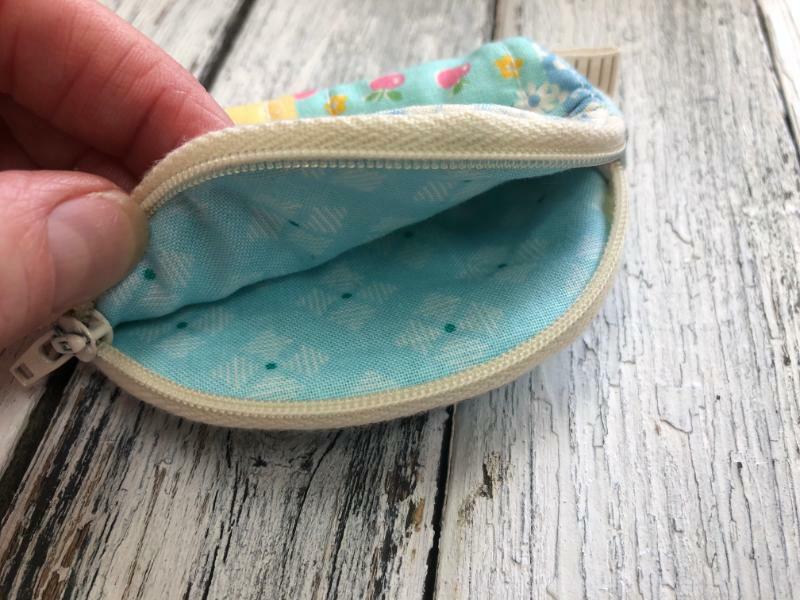 I am having fun creating some tiny little things lately (along with my micro mini dresdens) and am really excited about this tiny "Perogy Pouch". 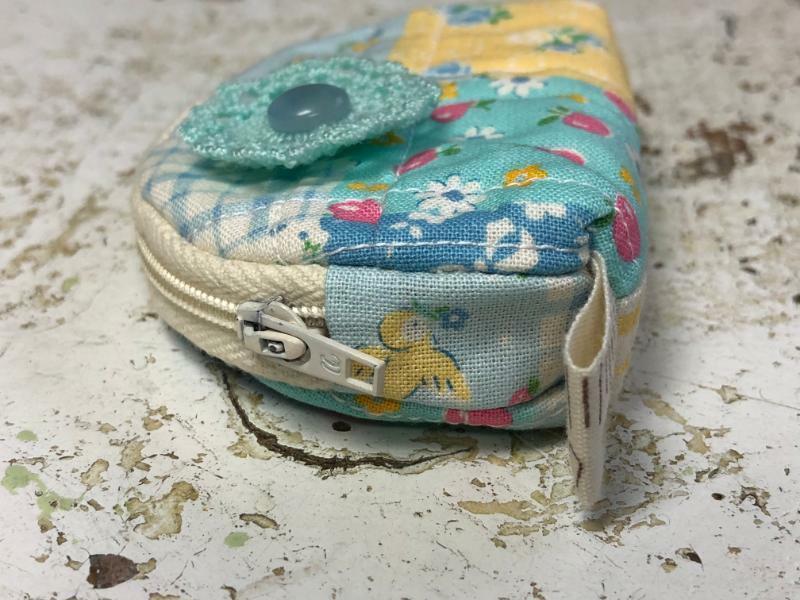 It is about 3 3/4" wide, and there is no hand stitching on it... which means it is quite fast to make. I also included in the pattern an alternate size option, in case this is a little too small for a beginner... 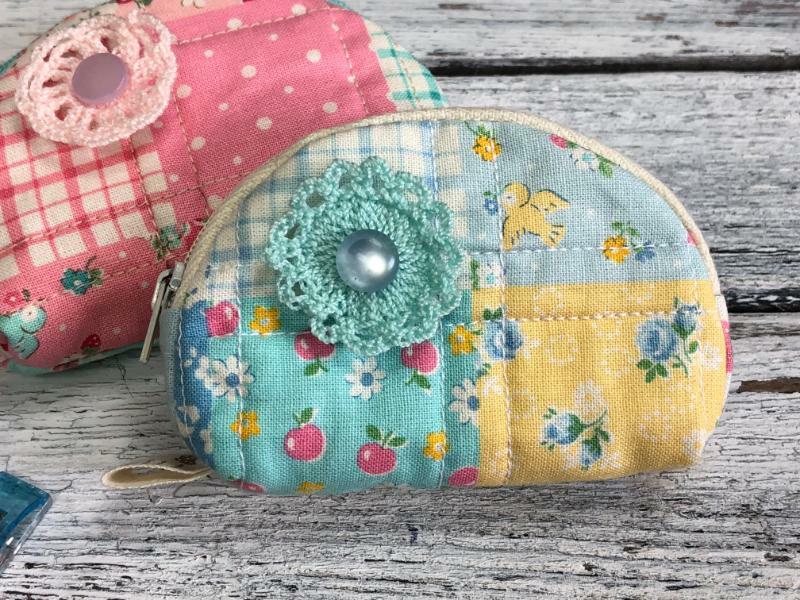 I personally think it's a perfect way to use up those zippers that are super small and for some reason, I had lots of them in my zipper stash! No exposed seams, and also has a small loop for hooking on your key chain.